A month before Corvallis schools open their doors for the new academic year, dozens of incoming kindergarteners are getting a leg up in the classroom. Kindergarten Academy, a summer program funded by the Corvallis Public Schools Foundation, is giving 75 students a gentle boost before the school year starts. The program is underway from July 30 – August 16 at five sites: Adams, Garfield, Lincoln, Mountain View, and Wilson Elementary Schools. 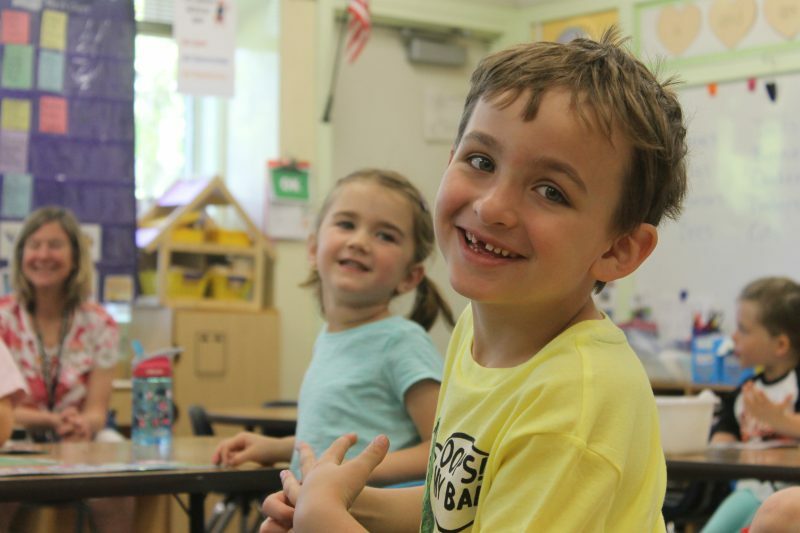 Kindergarten Academy, which focuses on social and emotional learning, is part of an array of 2018 summer programs supported by the Foundation and serving nearly 500 k-12 students. The total investment by the Foundation for summer programs this year is $63,385.00. Linus Pauling and Cheldelin Middle Schools expect nearly 100 students for math camp, which gets underway this week. A handful of students at Wilson Elementary are currently working to boost math and literacy skills. 72 high school students took advantage of credit recovery opportunities last month. Incoming freshmen who elect to take AVID (Advancement Via Individual Determination) will participate in a 3-day camp focused on high school success. Summer programs are part of the Foundation’s commitment to helping students stay on track for high school graduation. Thank you to our supporters for making these programs possible!